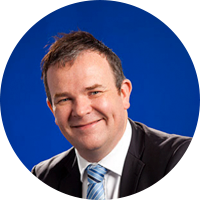 Paul has over 20 years of finance and deal structuring experience. Paul has used his experience in Corporate Advisory Services to provide assistance to privately owned businesses and small market caps in deal structuring and advice including introduction, deal management, pricing and negotiation of the entire transaction. In addition Paul has experience in merger and acquisition advice, transition management, operational performance improvement, and equity arrangement. Outside of debt advisory, Paul also likes to spend time with his family, go skiing and he names the most exciting thing he’s ever done as jumping from the Sky Tower in Auckland. Profunding was established in 2007 to assists business owners and individuals alike in obtaining and structuring debt to meet their immediate and future needs at a competitive price. This was as a result of the recognition that there was a greater need for expert structuring and advice at all levels of the financial spectrum to meet the particular needs of businesses and individuals alike. Traditionally, company directors and business owners have dealt directly with their primary bank, relying heavily on the advice provided by bank personnel to structure their financial affairs, without really knowing if that person has the expertise in the area that they are providing this advice. High staff turnover has led to clients growing increasingly frustrated by a general lack of continuity and care in the relationship management of their financial affairs. More and more clients are seeking a dedicated adviser who understands their business and who does not need to be re-educated every time their bank manager changes. Added to this are pressures associated with the ever changing nature of the Australian financial landscape. In some cases, individuals and businesses have sought assistance from advisers who are not adequately qualified or experienced to provide the correct financial advice. Profunding offers innovative, independent, flexible and cost-effective financing solutions to individuals and businesses large and small. Our measure of success is our client’s success. Profunding maintains strong relationships with a variety of lenders and we have access to Senior Management on both the Relationship and Credit side various Banks. Profunding holds an Australian Credit Licence and is a member of the Mortgage Finance Association of Australia. Profunding will assist you in the finance process by completing an objective appraisal of your finance and lending needs, taking into account your short and long term financial objectives. Profunding will do the hard work for you, researching and presenting you with tailored financial solutions. No matter how complex or simple the circumstances or structures, we are confident in our ability to efficiently deliver cost effective options to benefit you or your business. Profunding has an accredited team with strong networks and experience in dealing with various financiers, from the major Banks through to second tier lenders. Our negotiating skills and purchasing power enables our clients to obtain a better financial outcome than if they approached the financier directly. At Profunding we create a partnership that lasts and a commitment to deliver the best possible solution for your financial future.